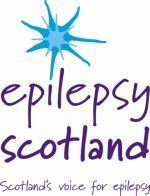 The team was formed in 1987 by Iain Campbell and Michael Higgins when our application to join the Scottish Supporters League was accepted. In previous years we had taken part in the Meadowbank Trophy against our East Coast friends and, at the end of the 1986/87 season, we had created our own tournament, The Hampden Trophy. Our first game was a friendly against Hearts on Sunday 9th August 1987 at Queen's Park Recs. On a sunny day neither team managed a goal and the game ended goalless, an auspicious start. Our team that day was:- Neil McAllister, Martin Harvey, Alan Raeburn, Alan Dickson, Ronnie Burns (c), Barry Haniford, David Nisbet, Hector Cook, Ronnie Smith, Iain Campbell and Gordon Hunter. Neil and Ronnie Smith were in goals for a half each. 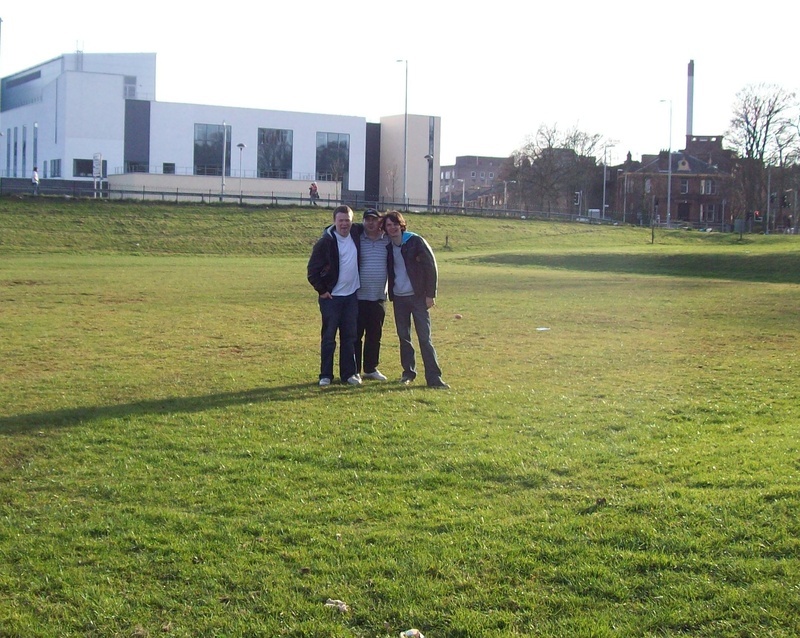 Andy McNaught jnr, Iain Campbell and Martin Kelly pose on the site of our first game at the now defunct Recs. A fourth place finish in the League was an excellent start to the first season and we enjoyed the after game hospitality which was a prerequisite. A trip to London at the end of the season started our long relationship with Leyton Orient and we have made many friends throughout the UK and, in 2009, in Europe when Paris St.Germain from Belgium became our first foreign visitors to our end of season tournament. Our first visit abroad was in June 2010 when we travelled to Namur in Belgium to play in an International Fans Tournament. We stayed in the Supporters League for seven seasons, winning two championships and twice being runner up on goal difference, before resigning to play friendlies against like minded teams. As age and interest waned there was a drop off of genuine supporters but at the start of season 2009/10 we went back to our roots and recruited the younger element of the QP support who were now old enough to play in the team. The team continues to survive and thrive and there are many more years of elevens football ahead as well as small sided tournaments.